Last week about 25 or so computer science educators met in Austin TX for two days to work on A Framework for K-12 Computer Science Education. This was not the first meeting of course. Meetings have been taking place online and in person for some months now. The process started last fall with meetings of thought leaders and stakeholders in CS education. 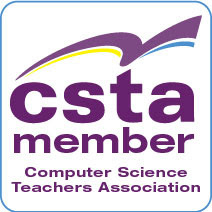 (Mark Guzdial wrote about one of these meetings and the start of the process at the BLOG@CACM in Advice for CS Education from Science and Mathematics Education. With all the attention computer science education is getting these days (finally) it is important that the community have quality resources to work with. This framework (and standards like those that CSTA is updating) are huge parts of filling that need. 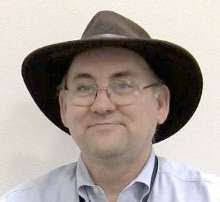 A steering committee initially comprised of the Computer Science Teachers Association, the Association for Computing Machinery, and Code.org is overseeing this project. And there are many top CS educators involved. Of course a project like this needs a lot of eyes looking over things. Transparency is a must. So there will be review periods. In fact, the first review period launches with a webinar (link) on Feb 3 at 8 pm ET / 5pm PT. More information about being involved in the review is on the K-12 CS Framework web site. It is very important that a wide representation of computer science educators be involved in this project. I hope many of you will get involved.